, which was given the green light by the ACCC last week. WPP, through Cavendish Square Holdings, has been a long-time shareholder of Ooh!Media. Goldman Sachs, which began seeking buyers for the shares on Wednesday, organised the trade involving 12.9 million shares sold at $5.13 each, a 2.8% discount from its last $5.28 closing price. This exchange comes one month after WPP declined the opportunity to take on more shares of Ooh!Media. In other outdoor news, JCDecaux was also given the go-ahead to complete its acquisitions of APN Outdoor. The two out of home mergers will have a significant impact on the sector over the coming months. WPP AUNZ has opted out of Ooh!Media by selling its 5.5% stake in the Australian out of home advertising agency to Goldman Sachs, for $66.5 million. 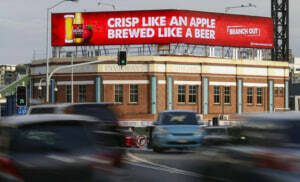 The move comes ahead of Ooh!Media's acquisition of Adshel, which was given the green light by the ACCC last week.